Happy New Year! Have you written down those new resolutions yet? Is eating lighter or healthier on that list? This week, the #SundaySupper crew is serving up a host of lightened up dishes for A Lighter New Year with host T.R. of Gluten Free Crumbley organizing all of our light recipes to help usher in the new year in a new way. Maybe all of these recipes will help you on your way so that maybe by swimsuit season, you'll weigh a little less. I've never been to Greece (but I've seen it from a boat!) and I really don't know much about authentic Greek cuisine, aside from what my Greek friends have taught me, what I've eaten at restaurants and the annual Greek festival. Nearly every city has an Orthodox church that holds a Greek festival each year and that is where I get MY fix of gyros, spanakopita, loukoumades (ohhhh my gahhhhh), moussaka, souvlaki, and Greek dancing to burn off the millions of calories I've consumed. I can say that my favorite Greek is the gyro (YEAR-oh). 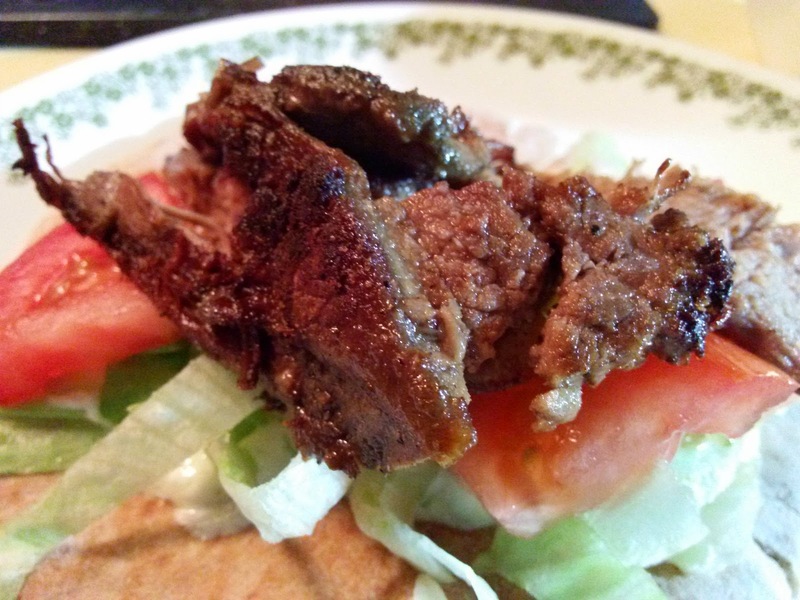 I've made gyros on the blog before. Many moons ago, it was one of my first posts. The ones I made today are soooo much better. And there's an actual photo of the final product! The gyro is typically a pita filled with hot, juicy thinly sliced meat sandwiched between crisp lettuce, ripe tomatoes and a cool, tangy cucumber Tzatziki sauce. The typical gyro meat you get at a restaurant is sliced off a spinning electric spit and believe it or not, it's a lamb/beef mixture because lamb is expensive and mixing the two meats is more flavorful. My gyro is 100% lamb. It's a roasted lamb shoulder, actually. The lamb is roasted with garlic, oregano, red wine, rosemary, sea salt and then chilled to solidify and remove all of the excess fat, sliced. 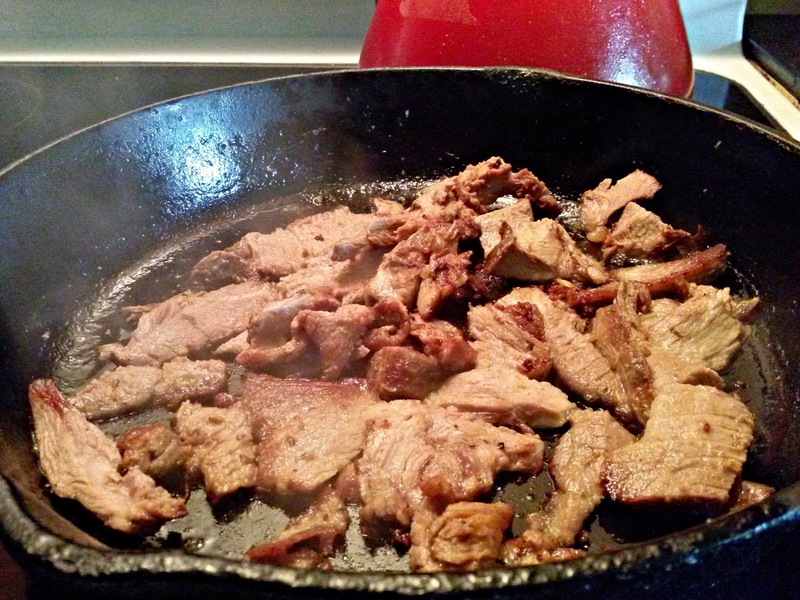 Then, more garlic, some oregano and a tiny bit of vinegar are added to a hot cast-iron skillet with the sliced lamb and caramelized. 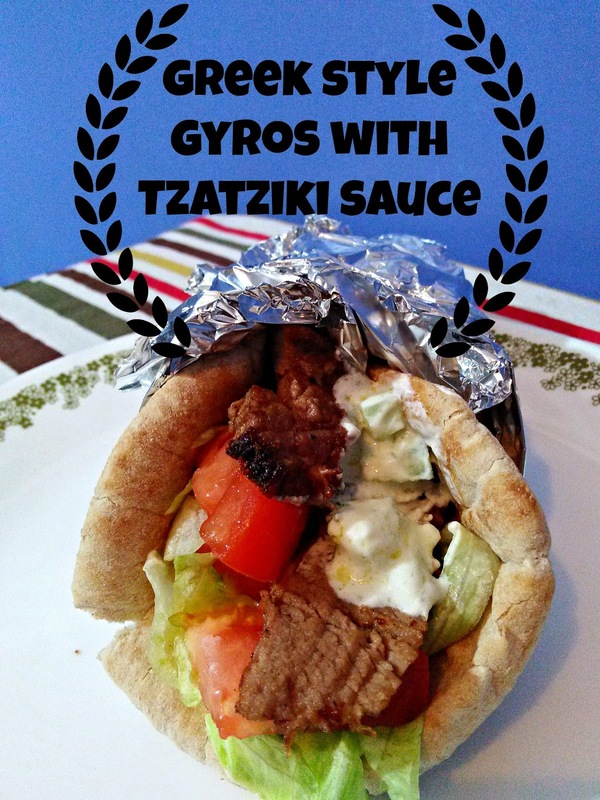 Assembled with fresh tzatziki, lettuce, tomato, pita and wrapped in foil to create a vessel for easy eating, this gyro is packed full of flavor without all of the extra oil and calories. Don't forget to check out the Sunday Supper recipes focused on helping you keep your new year resolutions to maintain a lighter new year! Easy to be Green Chocolate Chip Cookies from What Smells So Good? Place lamb in a large roasting pan and season generously with salt and pepper, coating evenly on all sides. Make 1-inch slits all over the lamb and insert the bits of garlic into each slit. Sprinkle 2 Tablespoons rosemary all over lamb. Using your hands, rub marinade into meat, making sure it’s completely coated. Arrange fat side up in pan. Cover very tightly with foil and place in the oven. 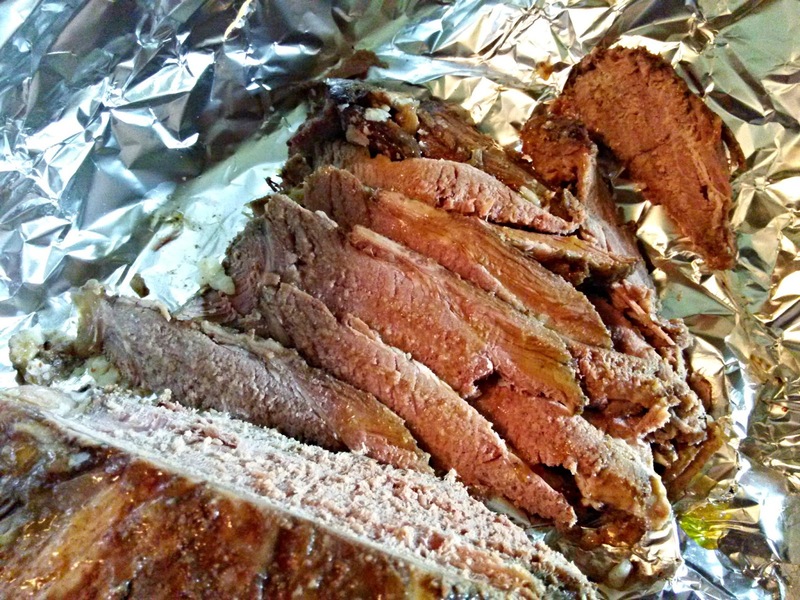 Roast lamb, 25 minutes per pound (about 3 hours), until meat is tender and pulls away from the bone. Remove pan from the oven, lift off the foil and tent the lamb. Let it cool for about 2 hours. at the 2 hour mark, recover the lamb and place it under refrigeration for an additional 4 hours, overnight, or until the fat solidifies and is easily pulled away. Slice the chilled lamb in thin strips. Over medium heat, in a heavy-bottomed frying pan, lay the strips down and add remaining Tablespoon of oregano, lemon juice, salt, pepper and cook, flipping occasionally for at least 1½ minutes on each side, using tongs or a small flexible spatula to flip them, or until they are crisped and browned. Transfer the strips to a plate to cool briefly, then assemble in your preferred order with the remaining gyro ingredients on a gently warmed flat-bread pita. Fold and wrap in foil to help hold it together. Serve. SO delish! We live near one of the biggest Greek communities in the US, and Greek flavors are always delicious to me! My husband adores a good gyro - but I've never made anything like it at home! I can't wait to try making a gyro at home...looks amazing! I've never made lamb at home, but now I want to give it a try! Gyros has always been a favorite of mine. I love the tip you gave about removing the fat too. Very helpful for a lighter new year. "A little drizzle of tzatziki never hurt anyone" - so true! However I'll take a big dollop on my gyro please and thank you! This looks good! Greek food has been on my mind lately, made Greek lamb stew with a Greek red wine pairing the other day. We went to Greece when I was a child and still remember the gyros. They are a favorite. Love that you made with lamb. That is my favorite. I love making tzatziki sauce, so yummy! This a beautiful dish and I can't wait to try it! I love the Greek sauce -- I'd put it on most anything! Anything with pita and you can count me in. I'm such a Greek food fanatic--my family is going to love you for sharing this recipe with me! Happy 2015!! I love gyros!!! I'm saving this recipe. We love gyros and I'm making these tomorrow night with the leftover lamb I cooked for Sunday SUpper! I wish that I had one of these for lunch, right now! My friend Anne is always talking about how good these are and I never make them at home. Heck I've only had a gyro once or twice in my life. I'm awful! Making this asap! My family adores lamb and you've given me such great inspiration for an upcoming dinner! 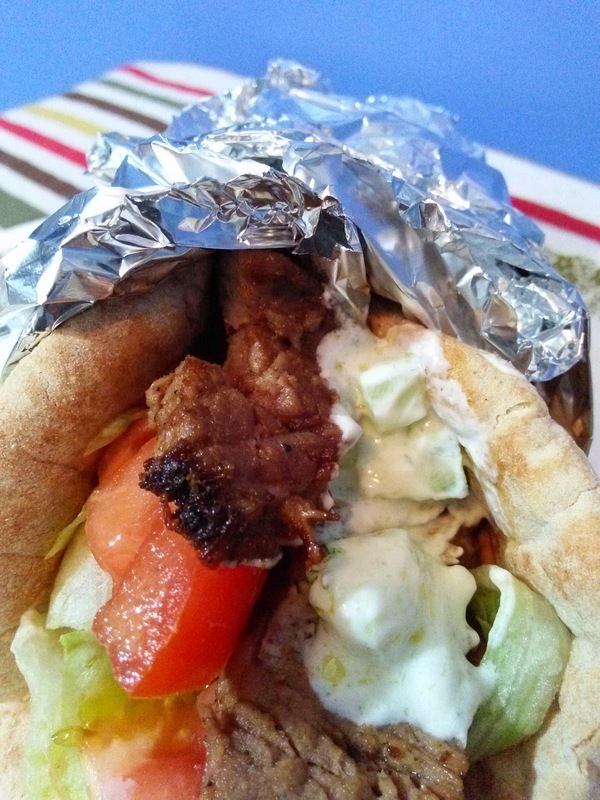 Your gyros look fantastic, Nikki!